Sir Richard Doll, Hans R. Herren, Ph.D., and Yoel Margalith, Ph.D. The 2003 Tyler Prize for Environmental Achievement is being awarded to Sir Richard Doll to honor him for his pioneering contributions on the association between a range of environmental agents and cancer. He is recognized worldwide for his many important contributions to the field of epidemiology but his most outstanding contribution was his seminal work establishing beyond any question the link between lung cancer and cigarette smoking. Sir Richard through his meticulous research has done more than almost anyone to identify preventable cancers and to ensure that actions are taken to protect individuals from harmful exposure. In the late 1940’s, many British doctors blamed rising lung cancer rates on atmospheric pollution, specifically coal smoke. But Doll, working as part of a research team, discovered a common denominator among the cancer patients that others had not ­ tobacco smoking. Doll and Bradford Hill studied 709 lung cancer patients in 20 London hospitals and found smoking was the one thing that clearly characterized the lung cancer patients. It was the first time there was a scientifically proven link between tobacco smoke and lung cancer. They also linked smoking to heart and respiratory diseases. The findings, published in the 1950’s have had an immeasurable impact on how smoking is regarded today. Doll, expanded his epidemiological work into other areas while continuing his research on the link between tobacco and human illness. He linked asbestos and lung cancer and also connected the inhalation of nickel compounds by nickel refiners with cancers of the lung and paranasal sinuses. Doll also showed that the risk of developing leukemia was proportional to the dose of radiation by studying patients given x-ray therapy for ankylosing spondylitis. Sir Richard was born in Hampton, England on October 28, 1912. 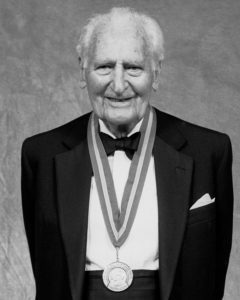 He received his MB and BS degree from St. Thomas’s Hospital Medical School, University of London in 1937 and his MD degree in 1945. He holds a DSc degree from the University of London (1958) and a DM from Oxford University (1969). 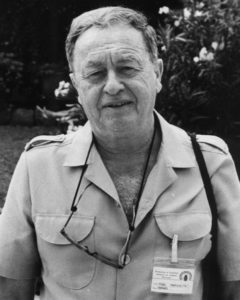 After obtaining his medical degree he served as a Medical Officer in France from 1939 to 40 and as a Medical Specialist in the Middle East from 1941 to 1944. He joined St. Thomas’s Hospital Medical unit in 1945 and from 1948 to 1969 he worked in the Medical Research Council’s Statistical Research Unit, eventually rising to the Director of the Unit. In 1969, he became Regius Professor of Medicine at Oxford and in 1979 the first Warden of Green College, Oxford. He was Director, Imperial Cancer Research Fund (ICRF) Cancer Epidemiology Unit from 1978-1983. Although, he officially retired in 1983 he has continued his research interests as an honorary member of Professor Peto’s Cancer Studies Unit in Oxford. Sir Richard has been a prolific researcher, mentor and author. He has published over 490 scientific articles. Queen Elizabeth recognized his achievements by first making him an officer of the Order of the British Empire in 1956, knighted him in 1971 and in 1996 granted him the rare tribute of a Companion of Honour. He is a Fellow of the Royal Society and a foreign associate of the U.S. National Academy of Sciences. He is also an honorary member of the American Association for Cancer Research, American Academy of Arts and Sciences, American Gastroenterological Association, American Epidemiological Society, International Epidemiological Society and Norwegian Academy of Sciences to name a few. He has been awarded thirteen honorary scientific degrees and over twenty scientific awards have been bestowed on him. In 2002, he was awarded the King Olav V Prize for Outstanding Cancer Research along with his long time collaborator Sir. Richard Peto. He is the recipient of the American Medical Associations’ Dr. Nathan Davis International Award in Medicine and Public Health (2001), the Gold Medal of the European Society of Cardiology (2000), the Erkki Saxen Medal of the Cancer Society of Finland (1995), Prince Mahidol Award (1992), Helmut Horten Foundation Award (1991), Ettore Majorana Erice Science for Peace Prize (1990), the Royal Medal of the Royal Society in 1986, the Founders Award of the Chemical Industry Institute of Toxicology (1986), Wilhelm Conrad Roentgen Prize, Accademia dei Lincei, Rome (1984), the Gold Medal of the British Medical Association (1983), Charles S. Mott Prize for Cancer Research (1979) presented by President Carter and the Prix Griffuel in 1975. Over the last half century, Sir Richard has been a true medical pioneer and he has done more than any other epidemiologist to transform the worlds general understanding of the avoidability of cancer and many other diseases linked to environmental exposures and human behaviour. The 2003 Tyler Prize for Environmental Achievement is being awarded to Dr. Hans R. Herren for leading one of the largest and most successful biological control programs in the world. His research and action saved one of Africa’s most important food crops, cassava. When the mealybug was attacking the cassava plant and threatening over 200 million people of famine across tropical and subtropical Africa. Dr. Herren and his research team identified and introduced a parasitic wasp, a natural enemy of the mealybug. The wasp brought the mealybug under full control within 10 years, preventing widespread famine and the death of an estimated 20 million people. This biological control program also eliminated the need for and risks associated with chemical pesticides. Dr. Herren was born in Muehleberg, Switzerland in 1947 and he grew up on a farm in the Southern Rhone valley of Switzerland. He received his bachelor’s of science degree from Humboldtianum in Bern, Switzerland in 1968 and his masters’ (1973) and doctoral degree (1977) in agricultural sciences from the Federal Institute of Technology in Zurich. His doctoral research on biological control of the larch bud moth in the Swiss Alps was a pioneering study of manipulation of an insect population. It is featured in many modern ecology texts as a component of long term insect population dynamic studies. From 1977 to 1979, he was a post-doctoral researcher at the University of California, Berkeley under a grant provided by the Swiss National Science Foundation. Herren joined the International Institute of Tropical Agriculture (IITA) in Ibadan, Nigeria as Director of Biological Control and from 1992 to 1994 served as the Director of the Plant Health Management Division. In 1994, he became Chief Executive and Director General of Insect Physiology and Ecology (ICIPE) based in Nairobi Kenya, which is the position he still currently holds. Dr. Herren has published over 70 scientific articles and is sought after as a distinguished speaker. He is a member of numerous international professional societies, including the American Association for the Advancement of Science, the International Organization of Biological Control, the New York Academy of Science, the Entomological Society of America and the International Society for Tropical Root Crops. He is a founding member and editorial board member of the journal Biological Control Science and Technology and current President of the International Association for the Plant Protection Sciences (IAPPS). 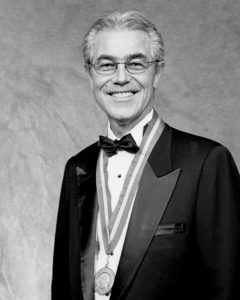 Herren was elected a Foreign Associate of the U.S. National Academy of Sciences in 1999. Dr. Herren continues to be a strong and active advocate for the research and development of biological control and other ecologically sound pest and vector management methods throughout Africa and the tropical world. As Director of ICIPE, he oversees and has been instrumental in implementing not only a diverse and wide range of exciting research programs on insect pests and vectors of human, plant and animal diseases and their control by natural pests, but has implemented an active program in graduate and postgraduate training, training of technicians and specialists in integrated rural development. He is dedicated to the promotion of sustainable and equitable development and with a team of colleagues has set up the BioVision Foundation to implement and extend current research and training activities. The Foundation assists farmers with new methods to combat plant pests and human and animal disease vectors, increasing increase their income and quality of life, and maintaining and/or restoring the integrity of the African environment for future generations. The 2003 Tyler Prize for Environmental Achievement is being awarded to Yoel Margalith to honor him for his contributions to the biological control of mosquitoes and black flies. His discovery in 1976 of the new microbial subspecies known as Bacillus thuringiensis israelensis (Bti) has had an enormous effect on human health and on environmental quality. Bti is a naturally occurring microbial agent, which is lethal to most species of mosquitoes and black flies. Unlike chemical pesticides, Bti has little negative environmental impact, as it is specific to the larvae of mosquitoes and black flies, while other organisms are unaffected. This natural enemy to the mosquito and black fly is often far cheaper than chemical alternatives. No significant resistance to Bti has been reported in over twenty years of use. Bti has increasingly been chosen for controlling mosquito and black fly born diseases. Bti has been used very effectively against river blindness, along the Volta River in eleven African countries. The sight of millions has been saved and repopulation of deserted river valleys has been initiated. Additionally, malarial infections from pesticide resistant mosquitoes have dropped by 90% along the Yangtze River, China, which has a population of over 20 million people. In addition to his discovery and research on Bti, Dr. Margalith has helped introduce the concept of Integrated Biological Control (IBC) against mosquitoes in the Middle East, Central Asia, Europe, and Africa. Integrated Biological Control includes not only production and introduction of Bti into mosquito and black fly infested areas but also involves ecological manipulation of the mosquito and black fly habitat as well as introduction of fish predators to the insects breeding areas. Dr. Margalith was born in Yugoslavia on February 9, 1933. He was a prisoner from 1944-45 at the Bergen-Belzen and Terezienstadt Concentration Camps. He immigrated to Israel in 1948 and joined the Shaar Haamakim Kibbutz. He received his Bachelors’ degree from the Department of Zoology at Hebrew University in Jerusalem in 1962, his MSc in Entomology in 1967 and a PhD degree in Parasitology in 1971 both from Hebrew University. He was a visiting research associate at the Center for Biology and Natural Systems of Washington University in St. Louis, Missouri in 1972 and a visiting Associate Professor at Southern Illinois University from 1973 through 1975. In 1976, he returned to Israel as a Senior Scientist at the Israel Institute for Biological Research, Nes Ziona. He became a Senior lecturer in the Department of Life Sciences at Ben Gurion University of the Negev in 1978 and was promoted to Associate Professor in 1988 where he currently is Professor of Entomology and Director of the Center for Biological Control. He was also a visiting scholar of Tropical Public Health at Harvard School of Public Health from 1990-92. Dr. Margalith has been an active researcher, teacher and author. He has published some 60 scientific articles, the author of 2 books and co-editor of several collective volumes on Bacterial control of insect pests. He served as President of the Zoological Society of Israel form 1979-1981. Internationally recognized as a leader in his field, Margalith has won numerous awards, including an Honorary Doctorate from the Universidad Autonoma de Neuvo Leon in Monterrey, Mexico; the Presidential Citation Award from the American Mosquito Control Association (AMCA) and a Special Citation Award by the Greek Mosquito Abatement Organization. He was awarded the first honorary membership in the Hungarian Mosquito Control Association. The Society of Invertebrate Pathology bestowed upon him a special award for his achievements in Integrated Biological Control. He was also made the first honorary member of the European Mosquito Control Association. Margalith has devoted his professional career to initiating and supervising programs to eradicate mosquitoes and black flies in Israel and around the world. He is popularly known worldwide as Israel’s “Mr. Mosquito” and his efforts in introducing integrated biological control have saved millions of lives worldwide and protected many regions of the world from the effects of chemical pollution.